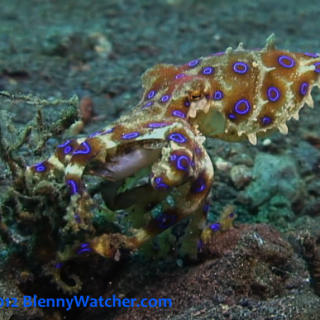 Since we started the Blennywatcher Blog, we have met some really interesting people online. Two in particular have helped educate me about the subjects of my own posts and I am indebted to them for their willingness to share information. 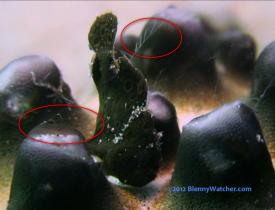 This past February, I posted video of a tiny frogfish and several juvenile lionfish that we observed riding around on Protoreaster nodosus sea stars (the link to that post is here). 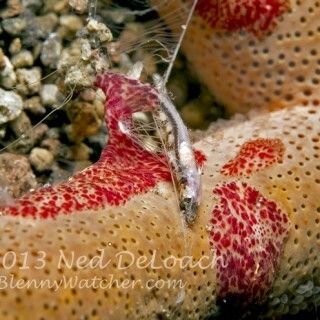 A few days later, Dr. Peter Wirtz contacted me after reading the post to offer all kinds of blenny and other fishy information, but his closing comment stopped me cold: Surely I had noticed the sedentary comb jellies also riding beside the frogfish on the sea stars? So I saw the frogfish but missed the ctenophores! Umm, no, actually I had not noticed them. Once I looked them up, I realized that the wispy threads all over the sea stars were not feeding tentacles of the sea stars (I know, I know…) but actually belonged to comb jellies, organisms that look like flatworms but are actually in a phylum of their own. A few days later, Dr. Christopher Mah featured my same story in his Echinoblog post, “What can the Internet do for Biodiversity?” (you can read that post here) and there they were again, benthic ctenophores, a.k.a., sedentary comb jellies! 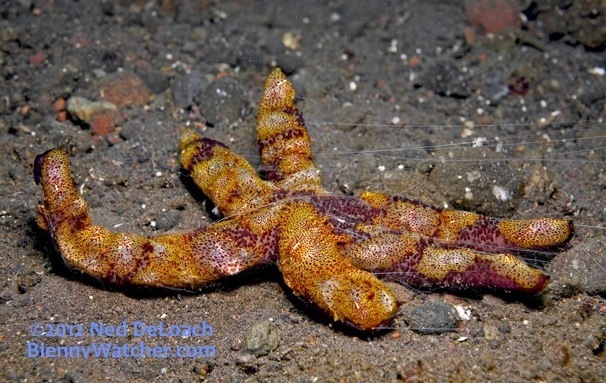 From Dr. Wirtz, I learned that such a creature existed on sea stars and from Dr. Mah, I gained a search image for some very beautiful examples. This is so much fun! Once we have a search image for something, we seem to notice it a lot. Such was the case with ctenophores last month in Bali. 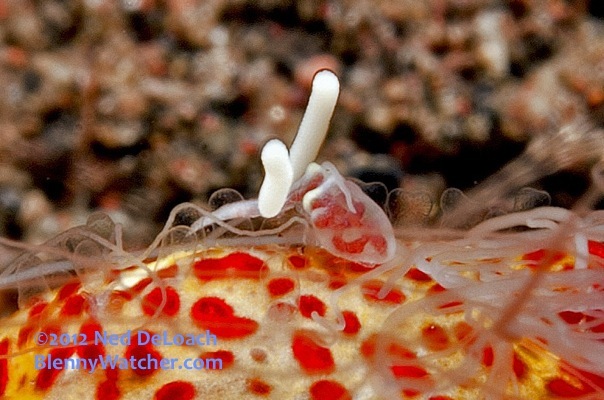 At a dive site on the NW coast, I ran across several benthic ctenophores (Coeloplana meteoris) in the sand. 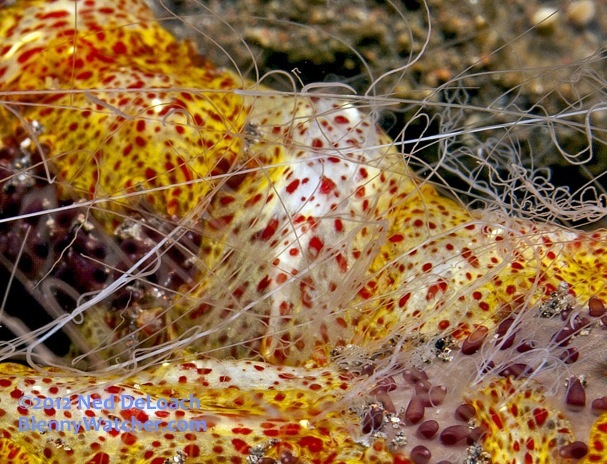 Although I had seen this particular species once before, in the Philippines, I took the time to look closely and saw the extended feeding tentacles for the first time. A week later, in Tulamben, I found a sea star (Echinaster luzonicus) loaded with the benthic ctenophores (Coeloplana astericola). With their feeding tentacles extended in the brisk current, they were much more beautiful than still photographs portrayed. It was great fun to share this little bit of natural history with our group of 35 divers and by the end of the two weeks, many had found them on their own. We observed two different color patterns (different species maybe?) 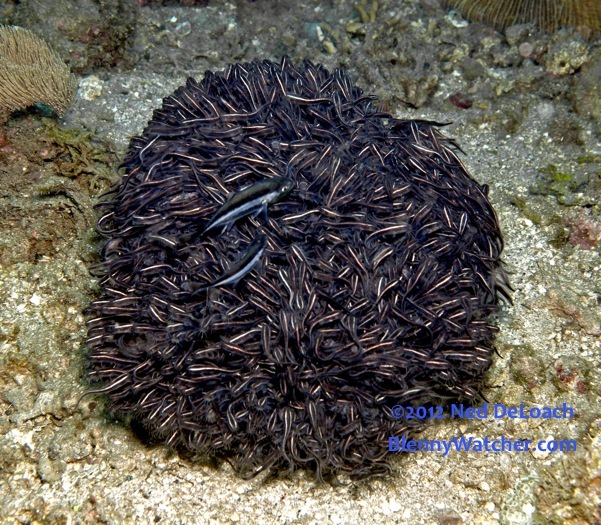 and the “infested” sea stars always seemed to be in the 10 to 18 meter depth range. We noticed some white “bumps” on some of them, but they were much too small to identify with the naked eye. 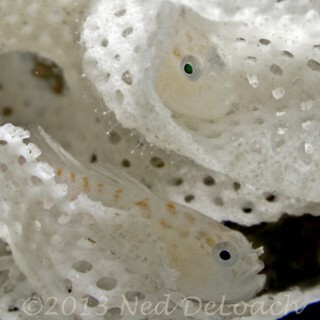 Ned took a macro shot, which revealed what appear to be copepods – and very beautiful ones at that! Whoa! A copepod on the ctenophore on the sea star!